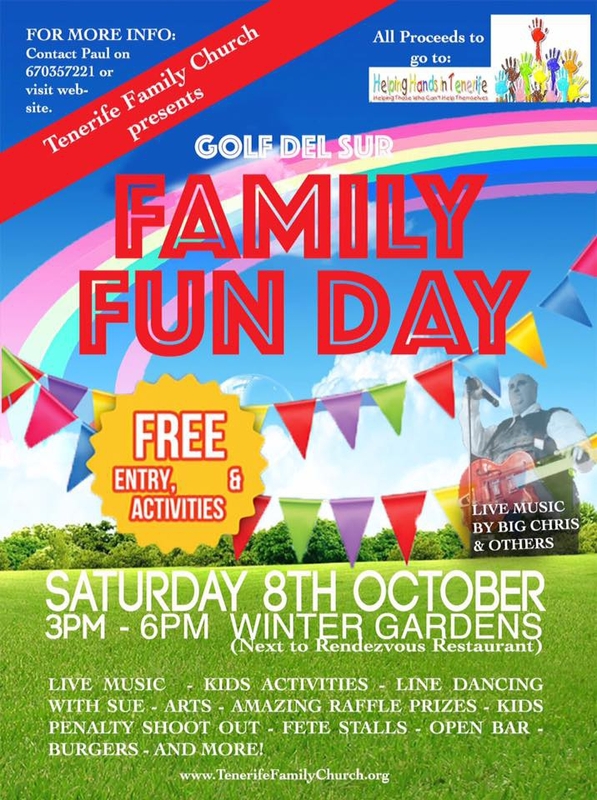 Tenerife Family Church presents a family Fun Day in Golf del Sur with live music, kids activities, line-dancing, fete stalls, open bar and much more. All funds raised wil be donated to local children's charity Helping Hands. The fun day will take place from 3pm - 6pm at the Winter Gardens in Golf del Sur.